Texas Secretary of State David Whitley today issued an advisory to county voter registrars regarding voter registration list maintenance activities, which include identifying any non-U.S. citizens registered to vote in the State of Texas. For the past year, the Texas Secretary of State's office has worked closely with the Texas Department of Public Safety (DPS) to evaluate information regarding persons identified to not be citizens of the United States. This voter registration list maintenance activity is being conducted in accordance with federal and state law to ensure that only qualified voters - who must first and foremost be U.S. citizens - are registered to vote in Texas elections. Through this evaluation, the Texas Secretary of State's office discovered that a total of approximately 95,000 individuals identified by DPS as non-U.S. citizens have a matching voter registration record in Texas, approximately 58,000 of whom have voted in one or more Texas elections. Voting in an election in which the person knows he or she is not eligible to vote is a second-degree felony in the State of Texas. Upon receipt of this information, the Texas Secretary of State's office immediately provided the data in its possession to the Texas Attorney General's office, as the Secretary of State has no statutory enforcement authority to investigate or prosecute alleged illegal activity in connection with an election. "Integrity and efficiency of elections in Texas require accuracy of our state's voter rolls, and my office is committed to using all available tools under the law to maintain an accurate list of registered voters. Our agency has provided extensive training opportunities to county voter registrars so that they can properly perform list maintenance activities in accordance with federal and state law, which affords every registered voter the chance to submit proof of eligibility. I would like to thank the Department of Public Safety for providing us with this valuable information so that we can continue to guarantee the right to vote for all eligible Texas voters, who should not have their voices muted by those who abuse the system." Going forward, the Texas Secretary of State's office will use information it obtains from DPS on a monthly basis to cross-reference with Texas' statewide voter registration database and match potential non-U.S. citizens who have registered to vote. 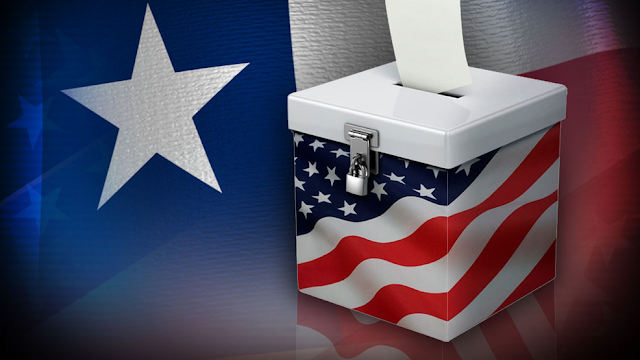 Once a voter registration is identified as a match, the Texas Secretary of State's office will notify the county in which the person is registered so that the county voter registrar can take action. Texas voters who wish to check their registration status can visit the Texas Secretary of State's "Am I Registered?" tool online or contact the voter registrar in their county of registration.